Is it Time to Replace or Repair Your Ski Gear? Separating the front of the boot and pulling the tongue way out of the way, makes putting on ski boots much easier. Fall is a perfect time to pull out your family ski gear and do an inventory. What needs to be replaced? What can be repaired? I recently wrote a post for Liftopia.com that addresses this topic. While it focuses on children’s gear, many of the tips are suitable for adults, too. Rather than recreate it here, I’m going to hit a few highlights. Follow this link to the complete article – Replace or Repair Kids’ Ski Gear. Finally at the bottom of this post, I’ve included bonus information on ski swaps: tips for buying at ski swaps and two updated lists where you can find a ski swap near you! Do Our Ski Clothes Fit? Clothing is easy — try it on and see what fits. If it doesn’t fit, it’s time for something new. Take pride in being responsible with your cast-offs — donate them to a shelter or other nonprofit that provides cold-weather clothing to those in need, pass them on to friends or save them for your younger children. Click here for a downloadable ski clothing and gear checklist, including suggestions for some of our favorites. The Liftopia post reviews how to tell if your kids’ equipment is the right size. You can also find guidance and detailed information in these Braveskimom.com posts. Is it Time for New Ski and Snowboard Gear? Once you get beyond the issue of fit, take a close look at your family’s skis, bindings, poles and boots. Summer has a way of drying out ski bases. Everyone’s skis need to be tuned and waxed before your first day on snow. But you should also look at the edges and bases. Do they looked dinged or gouged? Is so, ask your ski shop to repair them. Boots that are cracked or have liners that are disintegrating need to be replaced. Broken boot buckles can usually be repaired. Slightly bent poles can be repaired, as can missing pole baskets. Bindings that are too old should be replaced. Your ski shop can provide guidance on which models of bindings have aged out. Is it Time for a New Ski Helmet? Helmets have a shelf-life and should be replaced every three to five years, as the materials break down over time. Helmets should also be replaced after a big fall, whether or not the helmet is cracked. Again, these are just highlights. I hope you’ll read my longer post for all of the information. Fall is prime ski swap time and ski swaps are a good place to look for quality new and used gear at discounted prices. Take ski socks if you’re planning to purchase boots. Just one thin pair is all you need and you need them to try on boots. Before you buy used skis, find out how old the bindings are and if they are indemnifiable — a big word that allows ski shops to adjust the bindings. Ski shops have a list, so ask. Take a close look at the edges. If they are super thin, it’s possible that they can no longer be sharpened. You definitely want to see a distinct metal edge. Ask questions, take your time and inspect everything before you buy. 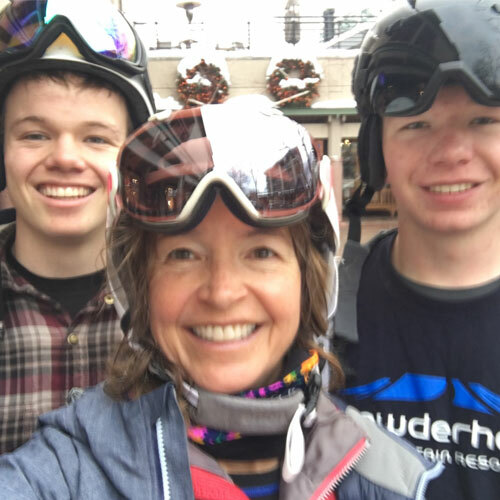 To find a ski swap, here is a list of ski swaps from The Ski Diva and a list of ski swaps from Learn to Ski and Snowboard Month. If have any specific questions, please reach out. I am always happy to help! © 2018, braveskimom. All rights reserved. Any use or publication of content, including photos, requires express permission.